Solve the equation by guessing and testing. Solve the equation for A. 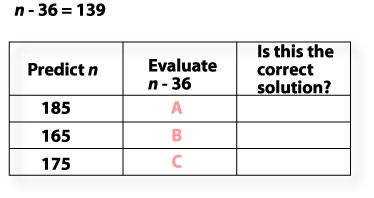 Solve the equation for C.
Is the solution for A _____? Is the solution for B _____? Is the solution for C _____? Select the equation that represents the diagram.